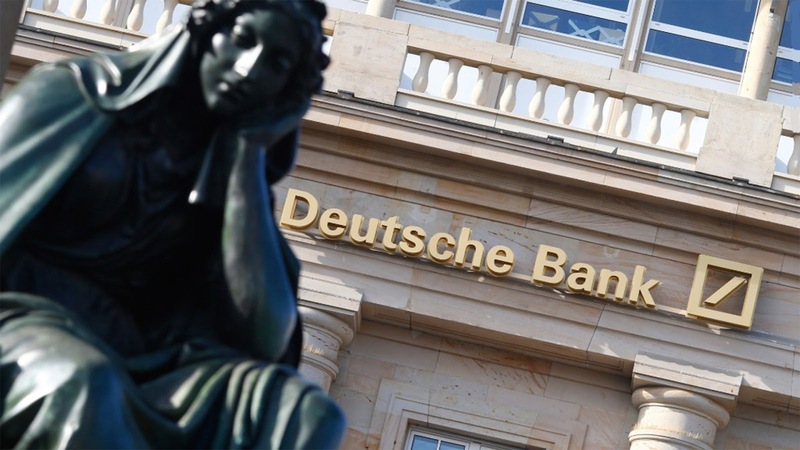 To say that the post-Crisis era has been challenging for Deutsche Bank would be a massive understatement, and recently their woes have worsened considerably. In today’s post we will focus on the Bank and its troubles and look at its chances of surviving such a turbulent time in its history. Ranging from massive fines to shareholder revolts, the Bank is lurching from one crisis to the next, and over the weekend S&P slashed its rating on fears that the bank will be unable to recover from this era of crisis. Therefore, a question that may need to be posed is whether the bank is approaching the end of its crisis, or whether these continuous troubles are merely the red-flags in the demise of this massive bank that had grand ambitions. Developed in 1870 by the bank’s “true founder” Adelbert Delbrück, the bank’s original ‘statute’ ‘laid great stress on foreign business’. Very quickly the bank opened branches in Japan, China, the UK, and of course throughout Germany, although the bank’s own account of history notes that raising foreign capital with a name like Deutsche Bank proved difficult. To counter that problem, the bank would develop innovative models and products to help its expansion plans come to fruition. This snapshot of their origins has been included here because, if we look at the current problems being faced by the bank, it is this expansionary vision that is proving to be their greatest liability, and no longer their greatest asset. This is perhaps proven in retreat, and earlier this year the new CEO of the bank – Christian Sewing – was abundantly clear that long-held plans to challenge the giants of the global investment banking scene, like Goldman Sachs for example, had proven particularly costly and would not be part of the bank’s plans for the future. Again, to say that those plans had proven costly is an understatement, with their $7.2 billion fine for misleading investors in the US proving to be a critical juncture in this story of crisis at the bank. Yet, whilst it was a critical juncture, it was perhaps the starting point. Since then, the bank has become inundated with crises, with Sewing stating recently that he is becoming ‘sick and tired’ of the bad news crashing against the shores of the bank. He said this after S&P had just cut the bank’s rating to BBB+ from A-, although that news followed closely behind the news that ‘the US Federal Reserve quietly decided the bank’s US arm was “troubled” up to a year ago’. The bank’s shares fell 7% as a result (this was on the 31st of May), which was arguably a reaction to this news and the news that the bank is planning ‘significant’ job cuts in key sectors of its business. The bad news continued to roll in, with it being suggested that Australian prosecutors are ‘preparing criminal cartel charges against Deutsche Bank, ANZ, and Citigroup, over a A$2.3 billion share issue’. The parties all deny wrongdoing, and Sewing was clear that ‘our financial strength is beyond doubt’, although this did not stop S&P declaring that ‘we see significant execution risks in the delivery of the updated strategy amid a continued unhelpful market backdrop, and we think that, relative to peers, Deutsche Bank will remain a negative outlier for some time’. This is clearly a damning assessment of Sewing’s ability to lead the bank out of crisis, and others in the business media have argued that, if one looks at the trajectory of the company, it is only heading one way; also, that European banks are suffering in relation to their American counterparts is only providing further fuel to the fire. Ultimately, it is difficult to say that Deutsche Bank will fall. It is difficult to say this not because of Sewing’s declaration of financial strength – this is not to doubt his integrity, but saying anything other than this would be suicide for the bank – but quite simply because the widely-held (and probably amnesic) view that banks have had their ‘too-big-to-fail’ status reduced since the crisis is simply not true. Think of it this way, if the Bank was to show signs of imminent failure tomorrow, would the EU and Germany stand by and let it fall? The bank is far too entrenched for that to happen, but the reality is that this theory may soon be tested, because the sheer ferocity of these crises is perhaps indicative of the inevitable – not many companies faces crises of this magnitude, and this frequency, and live to tell the tale. Fines, job-cuts, criminal investigations, rating downgrades, a failing surrounding marketplace, and regulatory warnings are always negative occurrences, but to experience them all, within the space of a couple of years, has the potential to be terminal. The bank’s strength, and the political institution’s belief in not meddling in private institutions’’ affairs, will no doubt be tested in the near future if current trends continue.